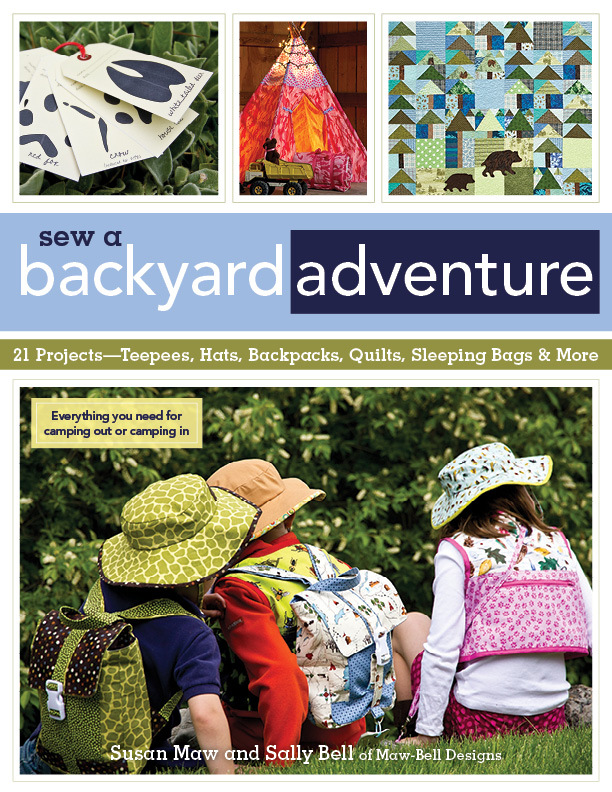 We were inspired to write this book, Sew a Backyard Adventure, to encourage parents and grandparents to explore the outdoors with their kids by going on a camping trip or simply camping in their own backyard. Our book will help get you started toward a great outdoor adventure! We’ve included a fun version of a classic fishing vest with lots of pockets and cargo shorts with even more pockets. You might want to check those pockets after a day of exploring! Keep them happy all day by packing them a lunch in our Happy Trails Backpack. 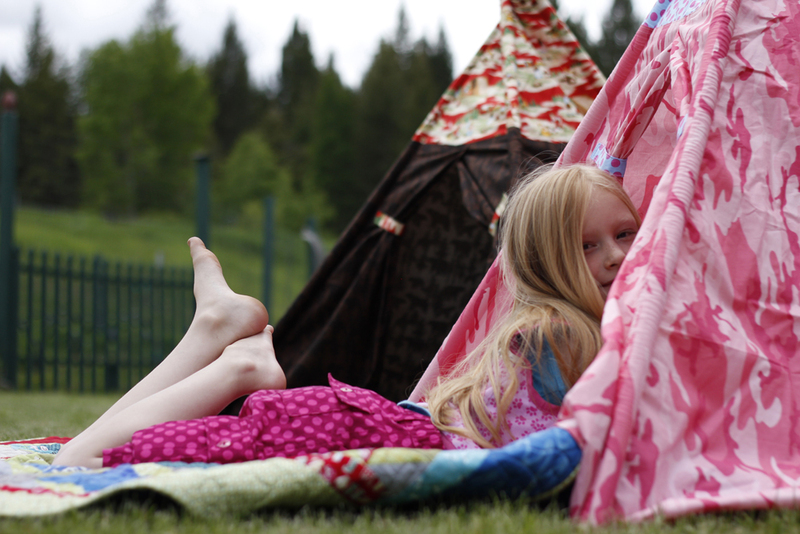 Sew up our quick and easy teepee in an afternoon for a whole summer of fun both indoors and out. This is a great beginning sewing project so get the kids involved in picking the fabrics and in the sewing. 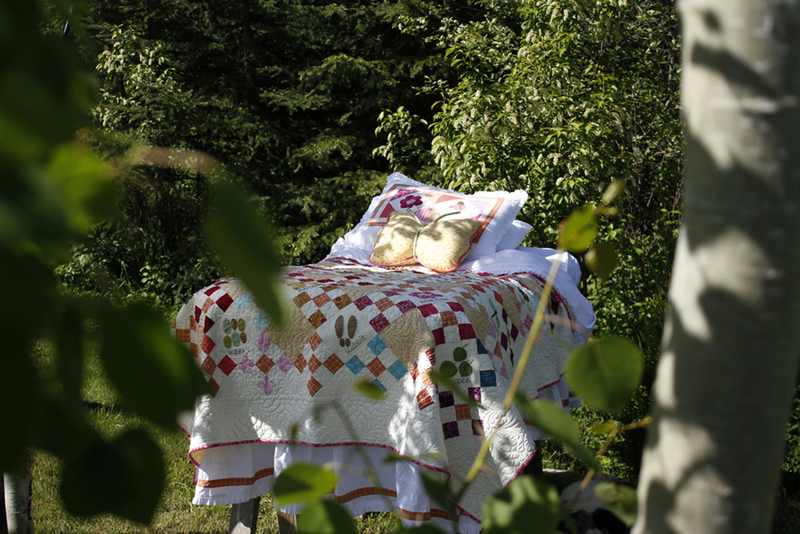 Sew the Meadow Path bedroom set with the quilt that is designed as a field-study using raw-edge appliques of animal footprints, leaves, flowers, and bugs. The lucky child can learn to embroider by labeling each study with a simple backstitch. 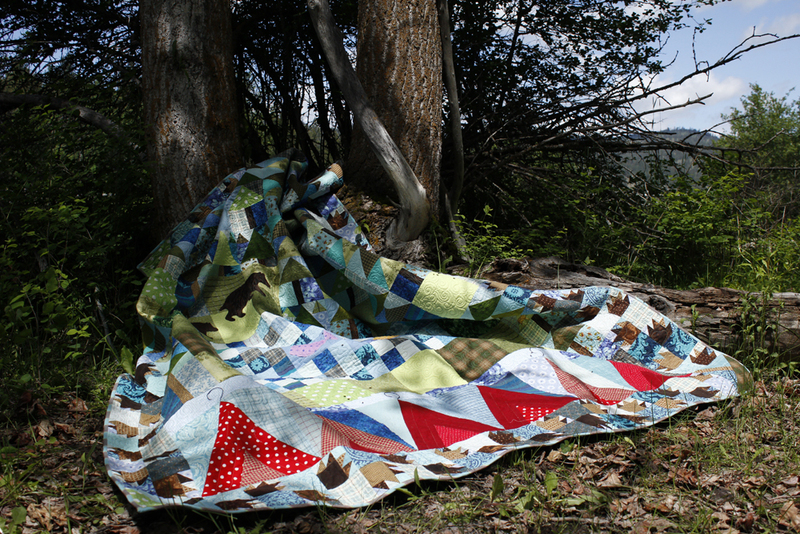 After a day of exploring, sleepyheads will love to dream under our Woodland Trail quilt. 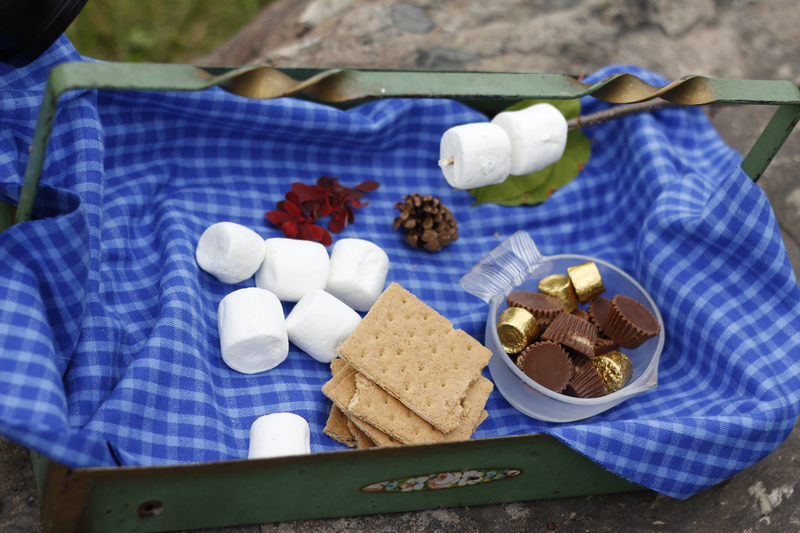 For an endless summer of fun for boys and girls, we have included a whole chapter of crafts and fun things to do and eat! In writing this book, we want to encourage all of us to get outdoors, to learn from one another, and to teach our children about nature. 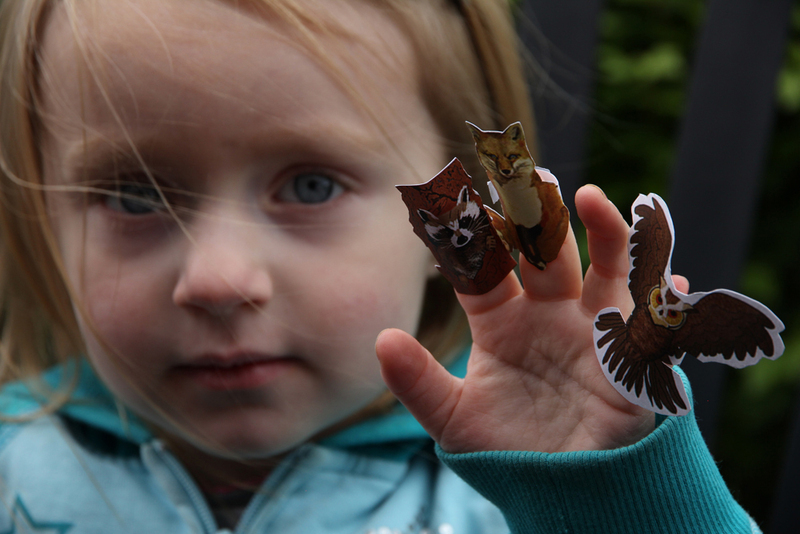 Encourage kids to put down their electronics and discover the joy of an adventure in their own backyard. Venture on over to the Maw-Bell Designs blog and leave a comment for the chance to win a free book! 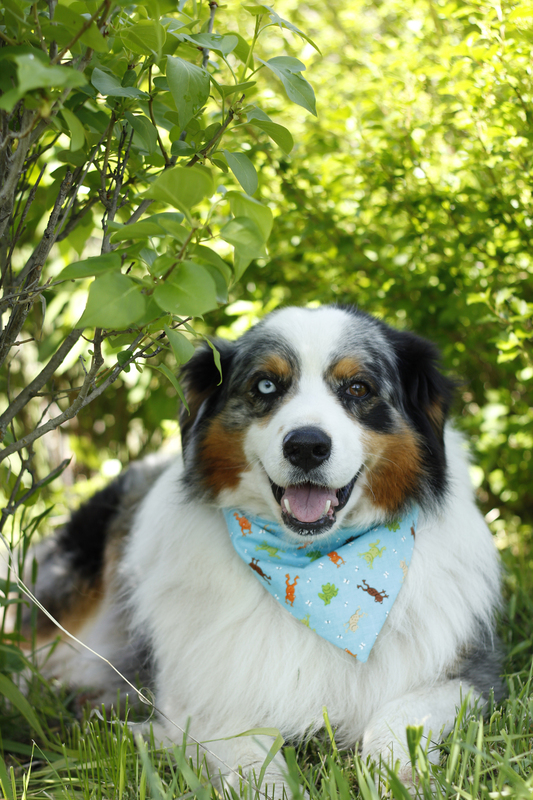 Thanks to Outlaw for inviting us to guest blog! Looks like a brilliant book. Shame the giveaway on Maw-Bell designs blog is already over. 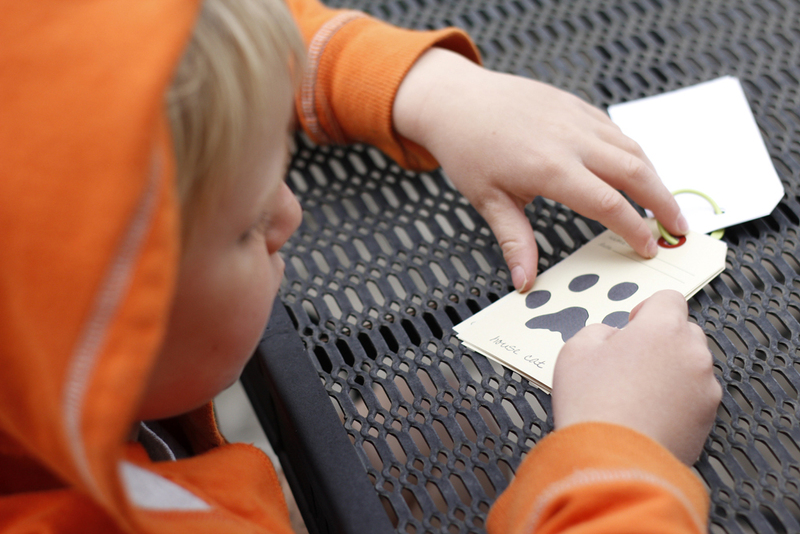 such a cute book idea – and wonderful photos. I think a set, say a hat and backpack would make grand Christmas gifts, or birthday for that matter. Too bad my children are all grown up…no grandkids yet.